Godfrey made the announcement at a 10:30 a.m. press conference at his office in the city's municipal building. Godfrey was first elected in 1999 and has overseen the city's redevelopment into an adventure destination city. Former Rep. Neil Hansen, D-Ogden, twice ran for Ogden mayor during Godfrey's administration. Hansen lost his seat in the legislature in the 2010 election and says he may run for mayor again. "Godfrey has done some great things for the city but he's gone about it in the wrong way. There have been many time through his tenure as mayor that he's done some things that are highly questionable," Hansen says. Hansen listed the Envision Ogden campaign finance scandal as one of the "highly questionable" items, but said Godfrey "put Ogden on the map as far as being a high adventure recreation center." 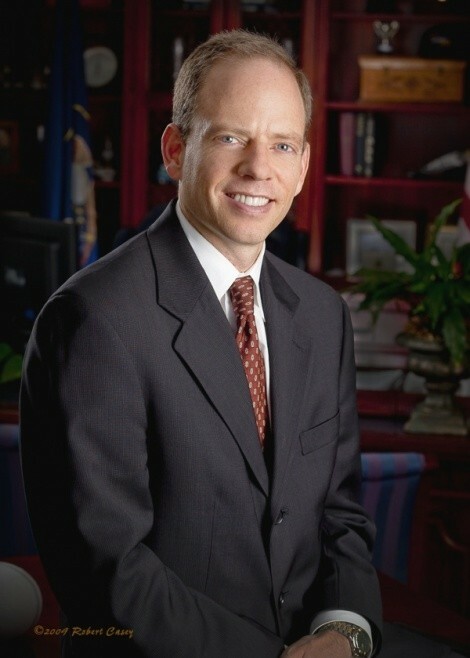 Hansen ran in 2007 and 2003. According to the Standard-Examiner, Godfrey, a Republican, said at his press conference that he would not seek a new political office and will look for a job in the private sector.